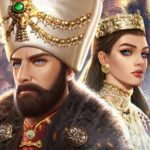 It’s not uncommon for RPG makers to take players back to the times when kings ruled the world, but Mechanist, which had previously released Dream Raiders for iOS devices, has added a new twist to things by taking players back to the time when Sultans ruled parts of Europe and the Middle East. 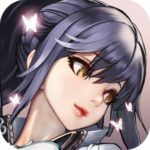 This exciting iOS RPG promises to test your ability to come up with military strategies as you conquer more enemies in battle, assemble your harem while romancing some of the world’s most beautiful and powerful women, and manage your growing empire! You can also compete against players from all over the world in PvP Arena mode, and form alliances with these real-life, human players, on top of defeating more AI enemies in Campaign mode. We cannot blame you if you’ve opened up this game for the first time and are already feeling overwhelmed. But it all comes with the territory of mobile RPGs, as nobody said these games were walks in the park when it comes to the overall learning curve. We’re going to teach you how to use some of this game’s other important features at a later time, but for the meantime, we suggest that you check out our Game of Sultans beginner’s guide. 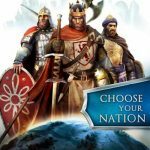 We’re going to start out with the fundamentals of the game, which includes managing your Viziers, completing Campaign chapters, and earning more rewards that could be of use as you establish yourself as the ruler of your own virtual, fictional Ottoman Empire. Compared to other mobile RPGs, Game of Sultans seems to focus more on the solo play element. While there are some social features that are definitely worth taking advantage of, we will be touching on them in future guides, as the main focus of this guide is to help you get a feel of the complex world you will be ruling as a virtual sultan. One of the first things you will get to do in this game is command your army to victory against an AI enemy castle. When taking over a castle, you will face several waves of enemy soldiers, with each succeeding wave tougher to defeat than the last one. Each campaign chapter consists of multiple castles, with the final castle representing your big face-off against the enemy general, who is like the boss character for each chapter. Before beginning this equivalent of a “boss battle,” you’ll need to choose a Vizier to represent your kingdom — these are high-ranking “warlords,” as the game calls them, and their stats can directly impact the chances of winning any campaign chapter, or even the smaller castle takeovers that precede the big battle. Don’t panic when you lose the first big battle of this kind because your Vizier is too weak. That’s simply the game’s way of teaching you that it’s important to upgrade your Vizier and improve their stats. You’ll get to return to that battle soon enough, and since this is a tutorial battle, you will definitely be coming out on top as you prepare to take on the actual campaign proper and face off against tougher AI-controlled opponents. Gathering resources in Game of Sultans is done almost automatically, in the sense that you don’t need to set up any special buildings, such as farms to create more food or barracks to train more soldiers, for instance. Instead, the Levies function allows you to gather more grain, currency (Wealth), and soldiers simply by tapping on the Levy button. At the very first level, you’ll have a maximum of three Levies per category to use, and you’ll want to go back to the Levy screen every few minutes or so by going to the Imperial Parliament, tapping on the exclamation point, then on the Vizier who’s telling you that you still have Levies available. One Levy takes one minute to refresh, and as you keep leveling up, you’ll have more Levies to use in one sitting, allowing you to quickly replenish your resources! In order to recover your Levies, you’ll need a Levy Seal for that, tough we shall be getting back to that feature at a later time. Next to the Vizier reminding you about your Levies, you’ll see a second Vizier under Imperial Parliament, telling you that you have some Imperial Affairs to settle. These Imperial Affairs are basically dilemmas that you need to decide on — for example, you may be asked if you want to train a group of new soldiers instead of tested war veterans. If you answer “yes” to this particular Imperial Affair, you’ll get several thousand soldiers added to your army, while if you answer “no,” you’ll get two experience points (represented by stars) to help you level up faster. The types of rewards may vary — bonus Grain or Wealth, new Attribute Books to help improve your Viziers, or various other goodies for answering in the affirmative. Regardless of the reward type, though, you will always get bonus XP if you answer in the negative. All things considered, your answers to the Imperial Affairs questions will depend on your needs. Lost most of your army in a tough battle? In that case, you’ll definitely want to add more Soldiers instead of settling for just a couple XP, so you should answer “Yes” in such a situation. However, if you’re flush with grain, you can pass on the extra food and choose the XP by answering “No.” It’ll only be a few points, but those bonus XP can sure add up over time! Also remember that Imperial Affairs take 30 minutes to refresh, and that the number of affairs to settle adds up as you level up. Aside from the Main Quests we detailed above, you’ve also got Daily Quests, which reward you with 10 points Activeness and 10 points Experience each — these are obviously time sensitive quests that need to be completed within the day, and once you reach a certain number of daily quests completed, you can win a wide range of rewards, starting with gold and Fortune orbs (which help you during riding events — more on them soon! ), but also including soldiers, enhancement badges, XP packs, and more! Right beside the Quests tab on the bottom menu, you’ll see the Achievements tab, which allows you to access those tasks which do not have any time limit, and can be achieved over a period of time. For example, you may see Achievements for racking up a certain number of Campaign Victories (measured by the number of enemy waves you’ve defeated), completing a certain number of Trade (gold/wealth) Levies, or accumulating a certain number of Viziers. Reaching these Achievements could reward you in the form of Gold Coupons (extra gold), Commander Seals (extra soldiers), or diamonds, which are the game’s premium form of currency. These are just some of the many types of rewards you can get for Achievements — while these can be completed in the natural progression of playing Game of Sultans, it never hurts to tap on the Achievements tab to see what you need to do next in order to collect rewards this way! The improvement of your Viziers isn’t just important when it comes to quest completion, as we sufficiently established above, but also when it comes to your success in campaigns, which we also touched on briefly earlier. At first you start out with five, but as you progress on forward, you will get to unlock more of them — they’re also available as premium purchases, though we wouldn’t worry about these purchases just yet at this point in Game of Sultans. Each of your Viziers has four main stats — Military, Research, Political, and Prestige — all of which can play a role in various aspects of the game. Viziers also have specific stats, or attributes which they specialize in — Piyale, who is the very first Vizier you will meet in the game, specializes in Military, for instance, while Lala specializes in Prestige. You can level them up by spending gold, and if you want to speed things up, you can tap on the Level-up 10x option to advance them by 10 levels, all in one go. Leveling up a Vizier gradually improves their stats on a fairly equal basis, though there’s a way to improve their stats substantially, and with just one tap once you’ve chosen something to improve them with. By tapping on the Rewards tab for any of the Viziers, you can view the books you won by completing quests, achievements, or campaign battles, and you will notice immediately that these books come in different types. In terms of size, booklets will improve a stat/attribute by 100 points, books by 500 points, and tomes by 1,000 points. It’s the booklets, of course, which are most common, with the tomes being the rarest due to the ton of points you can earn by using them. While you will oftentimes encounter individual types of books based on the stat they can improve — Military Booklet, Politics Booklet, etc. — you will most commonly encounter the general purple Attribute Booklets/Books/Tomes, which will typically improve the stat/attribute the target Vizier specializes in. We strongly suggest that you tap on the “i” for each Vizier to view their autobiography and learn their specialization — you can improve Piyale’s Political Attributes, for instance, but you don’t want to make it the main focus, because he’s an experienced battle strategist! Well, this should be more like making sure they’re leveled up, but you get the idea. You don’t want to be fighting a campaign battle at a point where your attack rating is lower than that of the enemy, or if you only have a couple thousand soldiers to begin with. You may be able to survive the first couple of waves, but your ranks may end up depleted by the time you end the third, and that’s something you don’t want happening in Game of Sultans! Granted, you will always continue a campaign from the last point where you left off, so if you lose a battle, you won’t have to try retaking the castle from the very top. But it’s still rework to go back to a battle after losing to a wave in the middle of it all, so be sure you’re ready in every way possible, with your Viziers leveled up and improved and your armies at full power. This is something that Game of Sultans advises you of, so always check the rules for the chapters and the boss battles — these will inform of you of the possible rewards for the chapters, as well as the all-important boss battle at the end of the stage. Make sure you’re well informed of the rules, because if you aren’t aware of them, you might miss out on some potentially useful rewards, which may include, but are not limited to Attribute Books and Scroll Cases! The rules tend to be the same as far as we’ve seen so far, but it pays to read them anyway — there doesn’t seem to be any option to grind by replaying completed chapters/castles/boss fights! As a bonus tip, you won’t always win certain types of rewards just because they’re among the possible rewards you can win for completing a chapter. Sometimes you’ll just end up with more basic resources like gold, as well as the requisite XP, so keep your expectations reasonable whenever you’re playing the campaign stages. Tap on the Divination building and you’ll be taken to the fortune teller to sit down and have some “coffee” with her. Yes, that’s basically code for having your fortune told, but this means, within the context of the game, that you will be earning some rewards, which may include resource coupons and seals, Attribute Books, and a lot more! This is a once-a-day feature, but you shouldn’t miss out on a chance to have your “fortune” told for some lucky, pun intended, rewards. The translation may sound a bit crude, but the “Binding” option on the upper left corner of the main screen will allow you to connect your game, either to Facebook or your Apple GameCenter account. Not only will you be able to resume your game even if you’re using a different device, you’ll also win yourself a plethora of rewards, starting out with 100 diamonds! That’s quite a lot of premium currency, and it’s definitely going to serve you well as you continue playing the game and learning the ropes. On the upper right menu, you’ll see the Fortify tab, which may not always sound like it seems — this isn’t exactly a place where you can literally fortify your kingdom’s walls, but rather one where you can compete against other human players as you purchase a variety of items with your gold and your diamonds, with each purchase earning you points, as well as rewards that may include the usual resources, Attribute Books, badges/badge shards, and more! The quality of rewards will also improve as you earn more points and rise up the rankings in each event. These rewards are enclosed in chests, which you can then open by tapping on the Backpack tab and on the applicable chests you may have won through this feature. Just be careful not to overspend — some of the items that may earn you the most points and help you move up the rankings can cost a king’s ransom in premium currency! you need grain to be able to take soldier levy. if you don’t have enough grain, you won’t be able to collect more soldiers, even if you have soldier levy left. for 100.000 soldiers levy you will need 100.000 grain in storages to be able to collect. What do u gain from union war? You gain bonus HP collectively as a union depending on how much everyone contributes. There are levels of bonus hp that is determined by how much grain the union collects. These can be viewed in your inventory (or backpack) you can obtain them by either combining badge fragments in your backpack (just hit combine tab then other tab) or by being rewarded them through quests and achievements to apply them to a vizier, select your vizier, hit the develop tab and then select the attribute you would like to upgrade. If you have any badges for that attribute, one will be applied. How do I open a scroll pack? I have objects in my backpack which can only be accessed via a scroll pack.